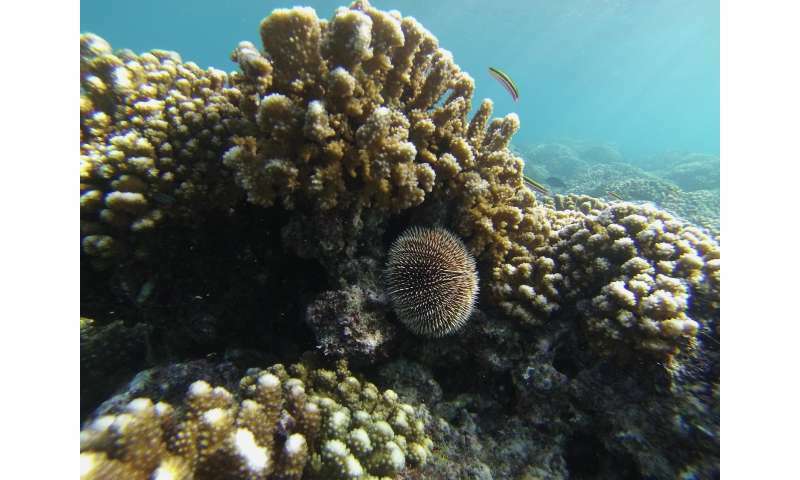 "Not too surprisingly, species diversity in calcium carbonate-based habitats like coral reefs and mussel beds were projected to decline with increased ocean acidification," said UBC zoologist and biodiversity researcher Jennifer Sunday, who led the study. Species that use calcium carbonate to build their shells and skeletons, like mussels and corals, are expected to be particularly vulnerable to acidification. 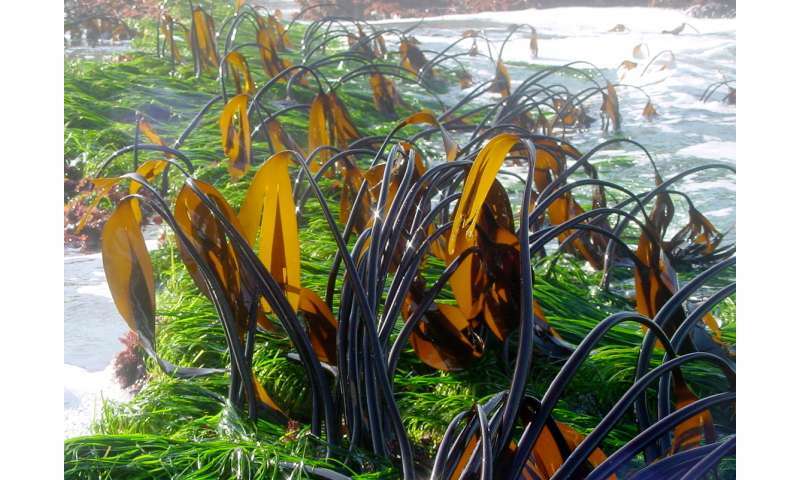 "The more complex responses are those of seagrass beds that are vital to many fisheries species. These showed the potential to increase the number of species they can support, but the real-world evidence so far shows that they're not reaching this potential. This highlights a need to focus not only on individual species, but on how the supportive habitat that sets nature's stage responds and interacts to climate change." The researchers combined data and observations from 10 field studies that measured the impact of underwater volcanic vents, which release carbon dioxide and mimic the conditions of future ocean acidification, on the density of habitat-forming species. They combined that data with 15 studies looking at how changes in habitat typically impact local species to make their predictions. "We've known for a while that there will be big losers and some winners with climate change," said UBC marine ecologist Christopher Harley, senior author on the paper. "We don't have time to measure the impact of climate change on each individual species, but using this approach allows us to make reasonable predictions. Now we have a much clearer picture of how some losers can drag biodiversity down with them, and how some other species might be able to help their habitat mediate a response to acidification. "For example, in the Pacific Northwest, the number of medium to large-sized edible saltwater mussels is likely to decrease as the chemistry of our oceans changes, and this is bad news for the hundreds of species that use them for habitat," added Harley. 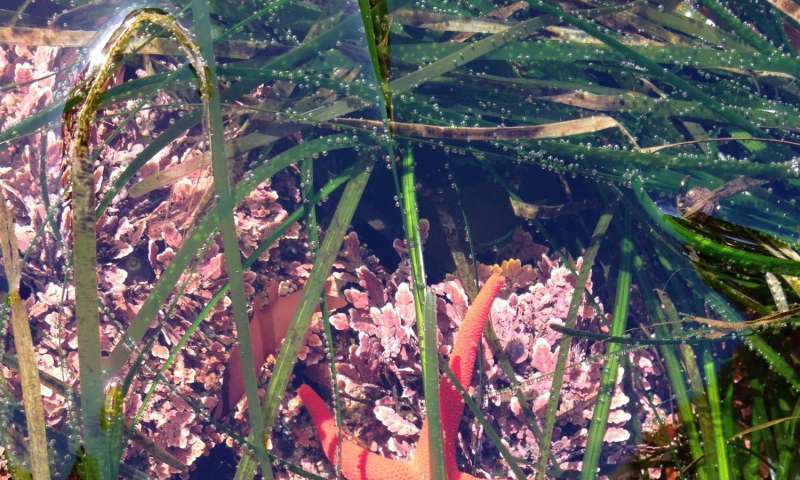 The researchers focused their study on the impact of ocean acidification on coral reefs, mussel beds, kelp forests, and seagrass meadows that form the homes of thousands of marine species. They used observations of altered habitats around the world to project how changes in these habitats brought on by ocean acidification will impact the number of species that each habitat can support. The researchers were able to test their predictions against real-world data from two sites: a coral reef near Papua New Guinea, and a group of seagrass beds in the Mediterranean. In the case of the coral reef, the diversity and complexity of marine life in the area decreased as acidification increased. Despite predictions that the seagrass beds would fare well under increased levels of carbon dioxide, no increases in biodiversity was observed. Because there are so few test sites to use to directly test the model, the authors want to expand on the approach. So they're studying habitat near undersea volcanic vents--extreme environments that spew all kinds of noxious things as well as CO2--to predict how organisms will respond to a future, more acidic ocean? To put it politely, that's not exactly a well-controlled study. Or put in computer science terms, garbage in garbage out. But such is the sad state of the politicized "science" of global warming. Shoddy studies based on faulty premises to produce predetermined conclusions. Faulty premise: oceans are becoming more acidic as they soak up more carbon dioxide from the increasing amount in the atmosphere. Predetermined conclusion: marine species will not survive. Contradictory fact: almost all of the studies, like this one, are poorly designed. Some studies have shown that marine species actually thrive.